100% FEMALE HACKERS!! 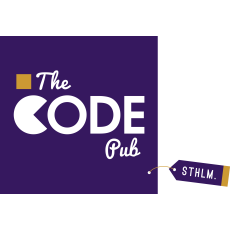 The Code Pub is a meet-up for women who want to learn more about IT and open for beginners as well as professionals. Our goal is to create a platform where one can BE INSPIRED AND INSPIRE OTHERS while BECOMING A BETTER DEVELOPER. The Code Pub was created by Netlight in the spring of 2013 with the purpose of increasing the number of women in the IT industry. By lowering the threshold for getting started with programming and highlighting female role models within IT, we believe that we can make a difference. In order to have a bigger impact on the entire industry we work together with other cool IT companies and they will be hosting occasional The Code Pub meet-ups. Code pub goes ATG and Fotografiska!